Has anyone got one of these or had any experience with one (or anything similar)? I was going through some old recordings on my Boss BR-1180CD the other day and found the whole interface so much easier and enjoyable to use than laptop/mouse. I spend all day working on a laptop and am not finding it very inspirational for recording and generally prefer using physical hardware. I would be using it with Reaper. I've never used one of those (to be honest it's the first time I've seen it). I too prefer to use an interface than use the mouse/touchpad. This looks like it has everything you'd need. Remember everything is midi mapped so if the faders/buttons/pots are decent quality you'll have nothing to worry about. I'm quite surprised how expensive it is for a Behringer product. I'd probably just use the Nanokontrol if I was in the market for an interface. It's a lot more streamlined, smaller and a lot cheaper. Sorry Thomas, didn't notice you'd replied to this. I'll take a look at the Nanokontrol. Certainly is a lot cheaper than the X-Touch. I've been wanting to try these out. 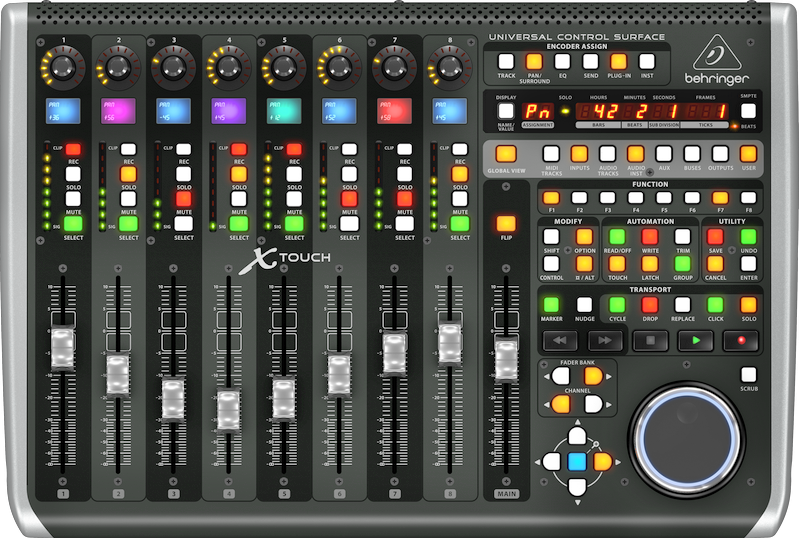 I've used a FaderPort and TouchOSC with REAPER and have been able to get them to generally control everything I need. TouchOSC was very useful to work the transport via an iPad Mini for when I was tracking my own drums alone - I didn't have to put a 16 count in on and then run to the drums and back etc. I've become so accustomed to writing automation with my mouse but I would love to have a surface to actually write automation in real time. The nanokontrol would not have motorized faders, so for recalling things, it might be a pain. Yeah, the X-Touch definitely looks like a better option. It's just whether the additional features justify the extra cost. Still pondering. They're apparently going to be releasing extender units soon so you can have 16 / 24 / 32 faders. I think 8 would probably suffice for most of my recordings but it would be good to have the option to extend in the future.